The batteries of the 2nd US Artillery saw varied service during the Civil War – across several theaters of war and with several different assignments. We saw examples of that service from the previous quarterly summaries. Moving from winter into spring, the nature of the 2nd’s service remained… in a word… varied. 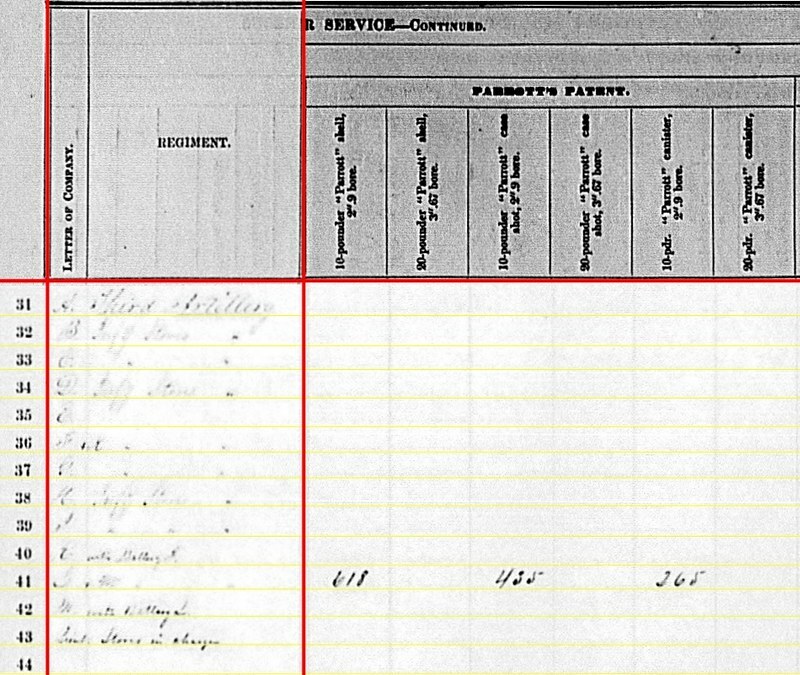 Battery A – Reporting from Warrenton Junction, Virginia with six 3-inch Ordnance Rifles. The location is certainly reflecting the August 10, 1863 receipt date, as we know for a fact this battery was just outside Gettysburg on June 30. As most readers likely know, after Chancellorsville and reorganization with the Horse Artillery, Captain John C. Tidball took over the freshly constituted 2nd Brigade of the Horse Artillery. That brigade would include his old battery. Lieutenant John H. Calef would famously command this battery when it went into action, July 1, 1863, on McPherson’s Ridge. And of course, one of those six Ordnance rifles is still out there today. 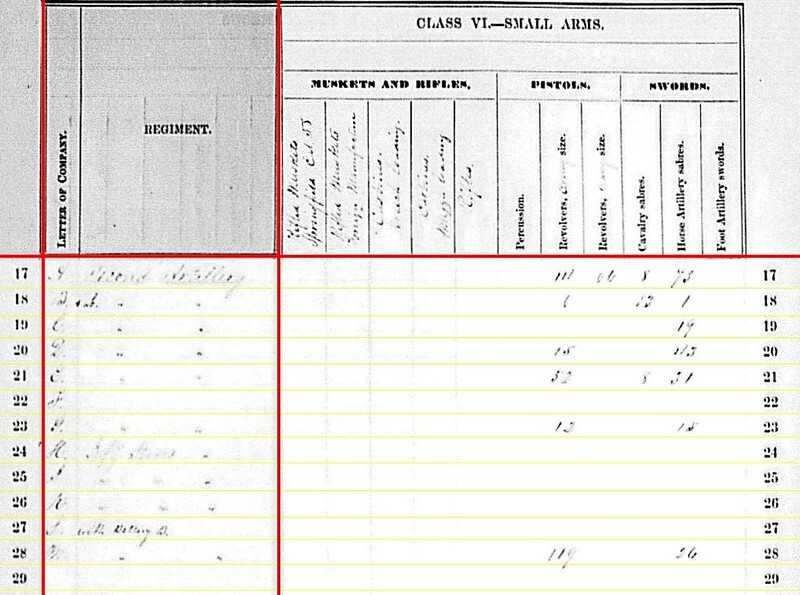 Battery B – Reporting at Taneytown, Maryland with six 3-inch Ordnance Rifles. This was actually combined Batteries B and L (see below). The battery was assigned to First Brigade of the Horse Artillery, which was commanded it’s old commander, Captain James M. Robertson. Lieutenant Albert Vincent commanded the battery during the spring. 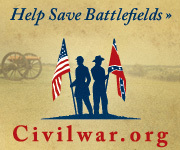 However, for the Gettysburg Campaign, Lieutenant Edward Heaton held the command. Battery C – Port Hudson, Louisiana with six 12-pdr Napoleons. The battery was part of Fourth Division, Nineteenth Corps. Lieutenant Theodore Bradley commanded. Battery D – “In the field, VA” with six 12-pdr Napoleons. Where else should a battery of Napoleons be? Maybe a better description would be “on the way to Gettysburg.” Battery D was assigned to Sixth Corps and commanded by Lieutenant Edward D. Williston. 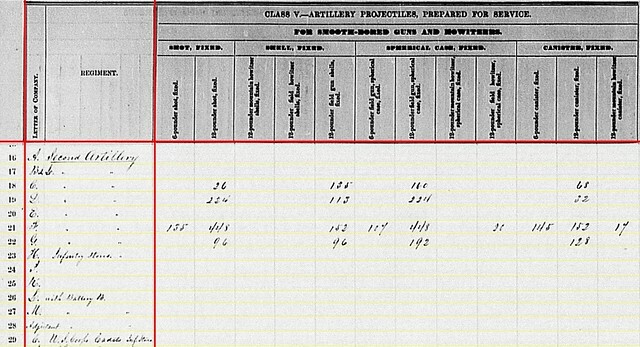 Battery E – [Illegible], Mississippi with six 20-pdr Parrott Rifles. While I cannot identify the placename, this battery was part of the Second Division, Ninth Corps, which had been sent from Kentucky to Vicksburg. Lieutenant Samuel N. Benjamin remained in command. Battery F – No report. Lieutenant Charles Green remained in command. The battery moved to the District of Memphis, of the Sixteenth Corps. 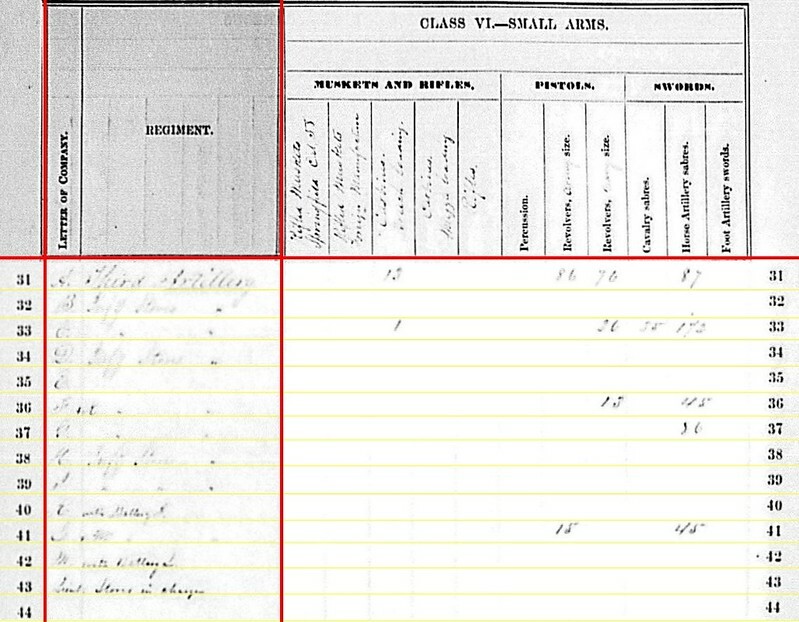 Battery G – Reporting at Warrenton Junction, Virginia with six 12-pdr Napoleons. The battery remained with Sixth Corps, and was among the mass of men moving towards Gettysburg at the end of June. Lieutenant John H. Bulter was in command. 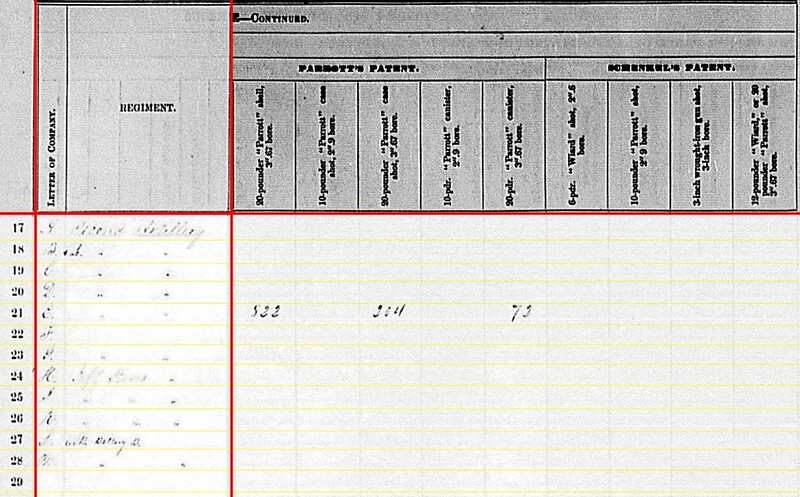 Battery H – Assigned to Fort Barrancas, Florida as garrison artillery. We see “Infty. stores” indicated with no artillery equipment reported. Captain Frank H. Larned was in command. Battery I – Fort McHenry, Maryland. No field artillery reported. Lieutenant James E. Wilson commanded. Battery K – Fort Pickens, Florida on garrison artillery assignment. Captain Harvey A. Allen had command of this battery. Battery L – We see a description “with Battery B” but with a location of [Illegible] City, Maryland. The Battery reported no cannon. Battery M – No location given, but with six 3-inch Ordnance Rifles. Assigned to 1st Brigade, Horse Artillery. And like others, the location might be summarized as “on the way to Gettysburg.” Lieutenant A.C.M. Pennington resumed command, replacing Lieutenant Robert Clarke, after the Chancellorsville Campaign. Battery D: 273 shot, 110 shell, 321 case, and 64 canister for 12-pdr Napoleons. Battery G: 144 shot, 144 shell, 288 case, and 192 canister for 12-pdr Napoleons. Battery A: 167 bullet shell for 3-inch rifles. Battery B: 136 canister, 574 percussion shell, 307 fuse shell, and 213 bullet shells for 3-inch rifles. Battery M: 72 canister and 185 bullet shells for 3-inch rifles. Here we have some room for interpretation and conjecture about the numbers, and the reporting process. Batteries A and M would report quantities of Schenkl shells on the later pages, which we will get to. But we see here those two batteries did not report a substantial quantity of ammunition on hand. 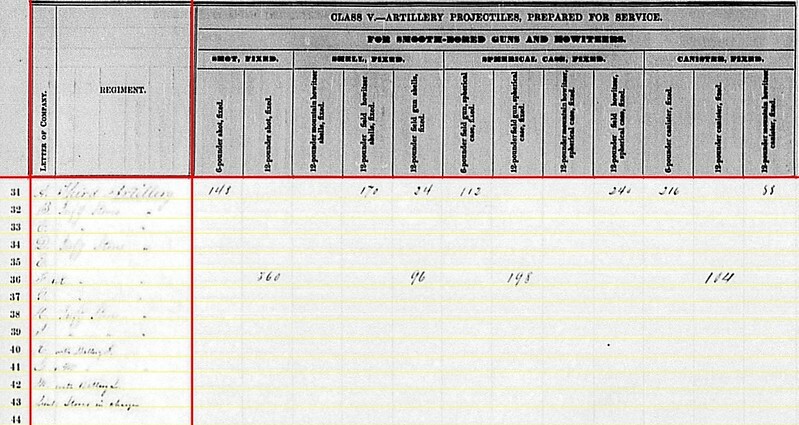 Hard to believe those two batteries, particularly Calef’s, had only a few dozen rounds per gun as of the end of June. 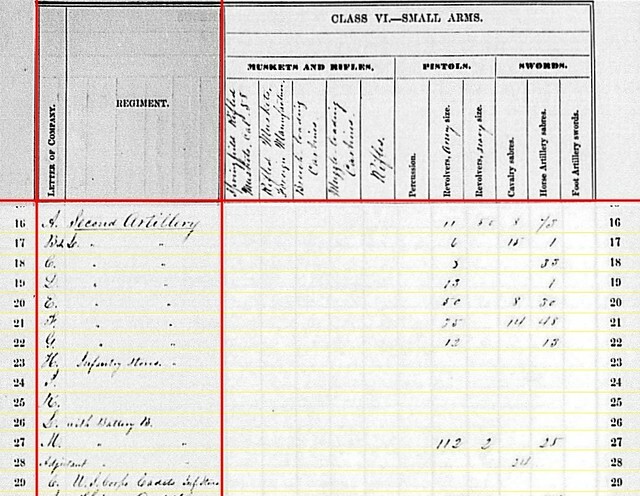 More likely is the reports were filed giving quantities on hand after the battle or at some point during the pursuit phase of the campaign. But we simply don’t know that for sure. We must make of the numbers what we can. One other point I’d raise here is in regard to Battery B. Reports indicate the battery suffered from a batch of bad shells during the Gettysburg Campaign. We might speculate there is something beyond just the numbers here also. Battery E: 522 shell, 204 case, and 72 canister for 20-pdr Parrott rifles. 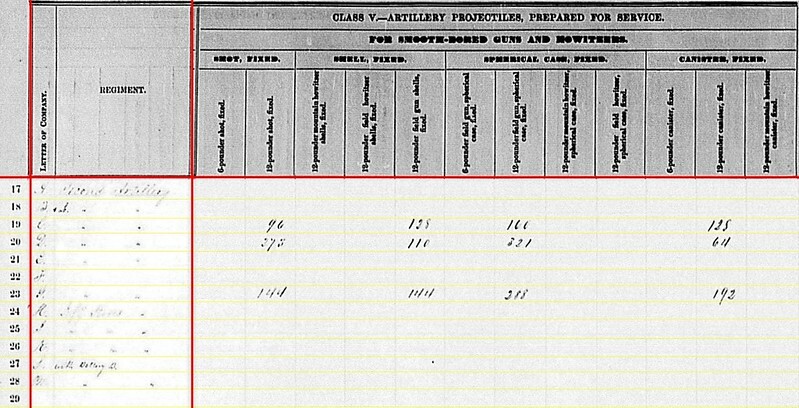 Battery A: 145 shells for 3-inch rifles. Battery M: 389 shells for 3-inch rifles. Still the aggregate quantities come up short for what one would assume the batteries carried into action at Gettysburg. Particularly noteworthy is the absence of canister for Battery A. Battery A: Fourteen Army revolvers, sixty-six Navy revolvers, eight cavalry sabers, and seventy-three horse artillery sabers. Battery B: Six Army revolvers, thirteen cavalry sabers, and one horse artillery saber. Battery C: Nineteen horse artillery sabers. Battery D: Eighteen Arm revolvers and forty-three horse artillery sabers. Battery E: Fifty-two Army revolvers, eight cavalry sabers, and thirty-one horse artillery sabers. Battery G: Twelve Army revolvers and fifteen horse artillery sabers. Battery M: 119 Army revolvers and twenty-six (or is it eighty-six?) horse artillery sabers. The standout line on this end of the summary, if not the entire summary, is that of Battery A’s small arms. If this is accurate for June 30, or at least representing what was on hand during the battle of Gettysburg, it is significant. The numbers are similar to that reported the previous quarter…. only indicating a net loss of four cavalry sabers. I don’t have at my fingertips the personnel returns for Calef’s battery, but clearly most of the men would have had a revolver and a saber. Such would contradict some assumptions often stated about artillerymen and small arms.